The device is fanless which means it runs completely silent other than if you opt for a hard drive, you’ll obviously get a little bit of noise from that. 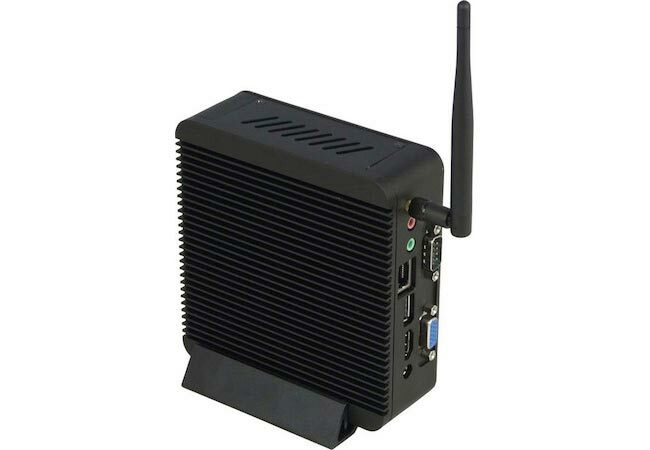 Connectivity includes wireless 801.11n, multi-card reader, 3 USB ports, LAN, HDMI as well as a VGA output and an RS232 connector. The device is quite small as well measuring 135 x 128 x 45 mm. Launch details are not known at the moment although those details, along with pricing should be provided soon.